The Associated Press Stylebook is basically my Bible. Now, however, I feel as if I’m led astray. Last week, the folks at the AP made a drastic change. I don’t use the term “drastic” loosely when I talk about style. The AP has decided that “over” is an acceptable substitute for “more than” when talking about numbers. Such a concept has been a core of the AP Stylebook for decades, one that I learned as a journalism student and one that I implemented as a college newspaper editor. And it’s a rule I’ve continued to – and will continue to – use professionally (and personally – whom am I kidding?). 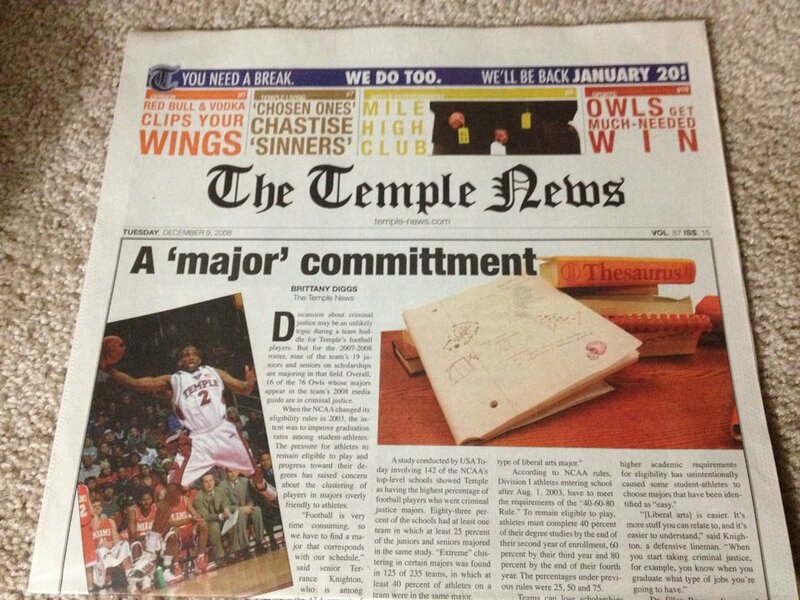 Sure, I may have allowed the misspelling of the word “commitment” on the front page of some 10,000 copies of The Temple News. But I swear you never saw an “over” where a “more than” should have been. A screen capture of my Twitter timeline. It’s so hard to cram so much into 140 characters. I have several categories of tweets I send. My main requirement is that I must find what I type interesting – the thought process being that I can make something interesting to someone else. Sometimes, that entails retweeting the governor of Virginia. Sometimes, that entails retweeting Wawa. Because I love Wawa. My tweeting categories range from work-related tweets to Charlottesville happenings to hometown pride to “just for fun.” A number of my followers rely on my Twitter account to know about what’s in the news (recently, I tweeted updates from the scene of a plane crash in Albemarle County). But not all my tweets are Charlottesville-specific, as not all of my followers are specific to Charlottesville.